Disclosure: This post is sponsored by Dasani and The Coca-Cola Company. Did you know that Americans used 50 billion bottles last year? Statistics prove that public water fountains are disappearing across America because of decades-old fears that tap water isn't safe to drink. I can't even remember the last time I saw a public water fountain! Drinking bottled water is often a more convenient way to make sure you're getting the hydration your body needs, especially while you're away from home. Bottled water isn't going away anytime soon, so Dasani is making strides to reduce its impact on the environment. 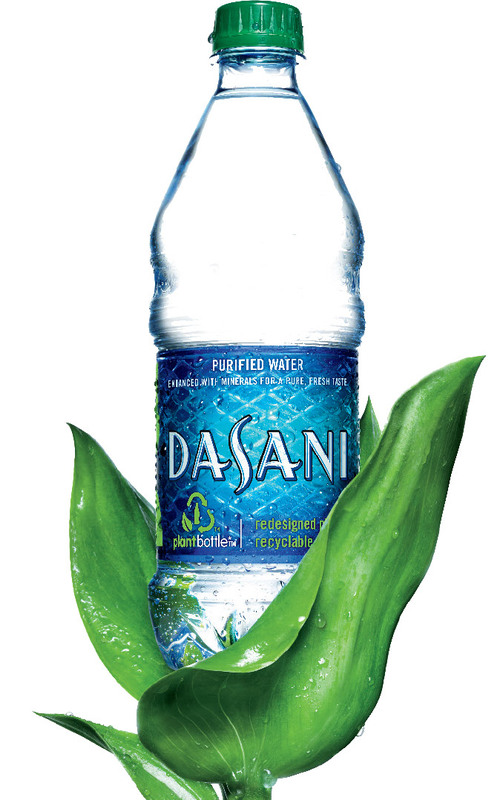 Dasani is part of The Coca-Cola Company and they have created the Green Bottle Cap water bottle. This new bottle is called PlantBottle and it is made from up to 30% plant-based material, sourced from sugarcane by-products from Brazil. This environmentally-friendly plant-based material replaces some of the non-renewable resources that are used in conventional plastic. Dasani is making a huge step to help us protect earth by replacing petroleum-based and fossil-based materials with sustainable plant-based materials! Look for Dasani's Green Bottle Cap whenever and wherever you're buying bottled water. If we all choose to buy it instead of bottled waters packaged in conventional PET plastic, we will be using up less of earth's non-renewable resources. That's great news for our children and grandchildren! Dasani is lowering its carbon footprint, and we as consumers need to make more changes to protect our world as well. Please make sure you always reuse and recycle your plastic bottles. Sadly, less than 25% of plastic is sent to be recycled by consumers. We can do better than that! It takes 1000 years for conventional plastic to decompose. 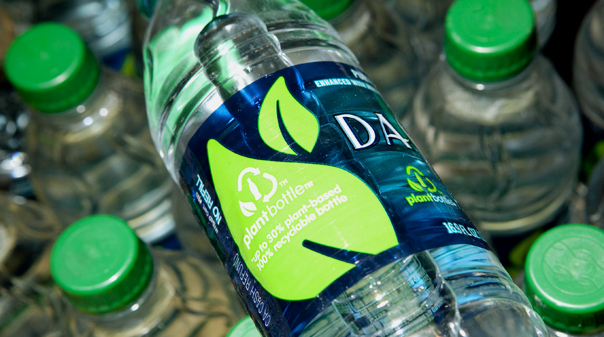 The Dasani Green Bottle Cap is 100% recyclable, as are all its water bottles, so don't simply throw them away! Find out more about eco-friendly, sustainable Green Bottle Cap at Dasani.com and Coca-ColaCompany.com! Every day, someone in my Facebook feed is talking about how essential oils have improved their life. Essential oils have been used for thousands of years for a whole range of things, including improving skin, relieving stress, treating burns, promoting skin circulation, relieving sore muscles, eliminating headaches, and the list goes on. Aromatherapy (using the scent of essential oils) can be a powerful tool, especially for improving your state of mind. Think of all the things that stress you out every day, whether it be loud kids, teenagers with attitude, nosy relatives, mounting debt, demanding bosses, or the not-so-good news on your television every day. Do you know anyone who doesn't get stressed out? Me neither! I love it when my house smells good. For many years, I've used candle tarts in a warmer to achieve the aromatherapy benefits. Anyone who walks into my home is immediately met with a wonderful scent that masks the smells of the kids, the dogs, the old shoes, and the spiced-up meals. I was so excited to try the GuruNanda Essential Oils and Diffuser Set to see how it compared to candle tarts. The GuruNanda Essential Oils in the set include peppermint and lavender. These essential oils are 100% pure oils. Peppermint is an energizing and refreshing scent, perfect for diffusing in the morning. Lavender is a soothing and calming scent, perfect for diffusing in the evenings. You can also use other essential oil scents to use in this diffuser too. The Diffuser included in this set operates on electricity and will diffuse the scent for up to five hours. It's an amazingly simple small appliance to use. Inside is a red dot, which indicates the maximum amount of water to fill the inner chamber. Once the diffuser is filled with water, you add a couple of drops of whichever essential oil scent you want in the air. Then the diffuser cover goes back on top and you plug the cord into the wall. The on/off button is on front, and you can push it to run continuously or intermittently. The diffuser then mists the water mixed with the essential oil into the air. For my first test of the GuruNanda Essential Oils and Diffuser set, I chose peppermint. As the diffuser mists the essential oil water using ultrasonic waves, the cover gently morphs from one color to another, giving off a soothing glow. The mist gently floats up through the opening on the cover, dancing and swirling above the diffuser. It's truly relaxing and therapeutic to watch. Within an hour of the diffuser, the delightful scent of peppermint filled every room of my little house. The essential oils purify the space while the scent tickles my well-being and makes my house smell amazing. I am incredibly impressed with this gift set and can hardly believe it costs less than $20. It's available at Walmart.com and your local Walmart store, and it's the perfect holiday gift for anyone on your shopping list. You can also visit Gurunanda.com to see all the other essential oils available. Everyone loves winning a prize! 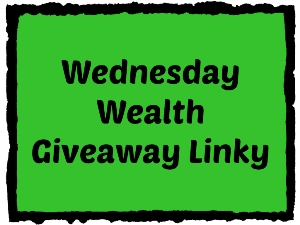 If you're hosting a giveaway, link it up below to drive more entrants to your site. 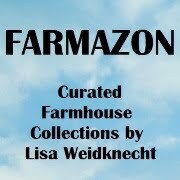 If you'd like to enter the giveaways, just click on them to visit the giveaway! I love decorating inside my house for the holidays. My husband hates hanging all the lights outside. This year, we're using Star Shower! Now I can throw out all those tangled light strings. Half of the bulbs never work anyway. My husband used to spend hours outside on a ladder hanging up multiple strings of lights, but the Star Shower is a single lamp that has a stake that sticks into the ground and displays lights all over the front of my house. Star Shower needs one plug. It takes literally five seconds to stick in the ground and turn on, then provides thousands of glimmering stars that cover the house. The lights display in red, green, or a combination of both. I had a hard time getting a good photo of the colors of the lighting, but the red and green defracted laser lighting is very vibrant. It's absolutely beautiful! Plus, with the sensor, it turns on only in the dark, so it saves on electricity too. 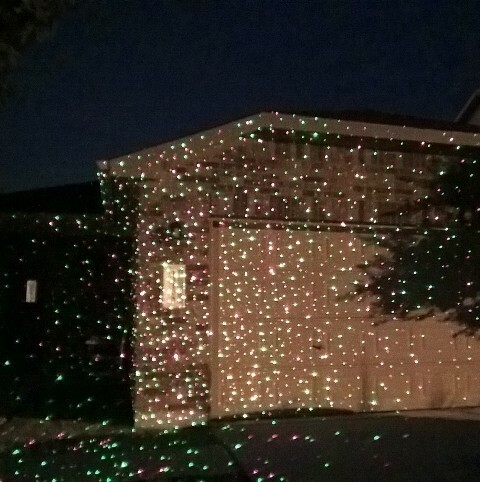 The farther you move the light back from the house, the larger the area that the Star Shower covers. I love the Star Shower dazzling lighting and my husband loves the ease of installation. Order your Star Shower today at www.getstarshower.com! Fall is officially here and it's time for new shoes! My go to outfit nearly every day is blue jeans and a blouse. I am so excited that I found these blue Rome fashion clogs! Sandgrens Clogs makes true Swedish clogs and clog boots. These clogs from Sandgrens Clogs are SO comfortable. I am incredibly impressed with how perfectly they fit my feet. The Rome fashion clogs are a new arrival to their line and I love the simple, smooth design of the upper. The clean look is perfect for my casual style, so it's the perfect pair to go with my blue jeans. The blue color of the Rome clogs is simply gorgeous. It also comes in Berry, Green Ash, Mocha, and Purple Ash -- all fabulous colors for fall. The upper of the Rome clogs is made of nubuck leather. It's attached to the base of the shoe with a row of fashionable metallic studs. The base is made of European lime wood, which gives it a dark grayish tone. The sole is made of textured rubber to keep me on my feet even in wet weather. An owl is the logo for Sandgrens Clogs, and on the outside of each upper, there is a small owl, which I think gives these shoes extra personality. Each pair of clogs is handmade and the craftsmanship is truly reflected in the timeless beauty of Sandgrens Clogs. Around the house, I am usually barefoot, so I love the ease of slipping on these clogs whenever I have to leave the house. I'm not a big fan of socks, and Sandrens Clogs are one of the few shoes I can wear without socks. On really cold days, I love to throw on a pair of patterned socks, since the heel of the socks shows near the open heel of the clogs. Sandgrens even places a flat heel pad inside the clogs to make them more comfortable and to keep them from slipping off my feet. Sandgrens Clogs last for many, many years and since clogs never go out of style, it's a smart purchase! Sandgrens has been making clogs since 1846, so they are experts at style and comfort. I highly recommend Sandgrens Swedish Clogs! Visit www.sandgrensclogs.com for all the newest fall and winter clogs, and be sure to check out their collection of clog boots! Follow them on Facebook, Twitter, Instagram, and Pinterest too. 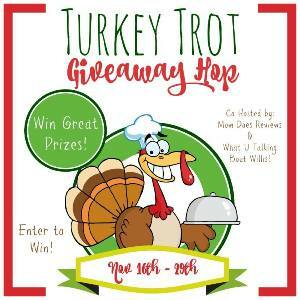 These great giveaways end 11/29 at 11:59PM EST! Be sure to visit them daily for more chances to win! 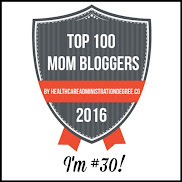 This Blog Hop offers fun prizes for your family! You could win toys, kitchen gadgets, gift cards and cash! After you enter my giveaway, hop around to the other giveaways below. There are so many wonderful wall decals that we can use to decorate our homes, but the ColorMe Decals from My Wonderful Walls offer the opportunity to truly personalize our home decor. These gorgeous wall decals are the perfect touch to any room! The designs available range from fairly simple to incredibly detailed, so both kids and adults will enjoy the creative, stress-relieving process of decorating them. The inspiring designs include flowers, animals, birds, mandalas, and more. I received the Wise Owl Mandala and it's beautiful! Each ColorMe Decal is a fabric wall decal and comes on a peel-off sheet. It arrived rolled-up in a tube but easily laid flat for me to color. I used different types of coloring implements so I could see how they look on the decal. You can use markers or paints to add the colors you want! The decal has a slight texture to it which gives it a matte look. I first used markers, both fine tip for the highly detailed areas and wider tip for the larger spaces. I'm using scrapbooking markers to color the owl. I'm obviously not done yet, since this is an activity that provides hours of creativity! On the design around and behind the owl, I'm using watercolor pastel crayons. The leaf photos below are of the watercolor pastel color dry and wet, to show the difference. I used a cotton swap to dampen the watercolor pastel. The ColorMe Decals are easy to work with and I'm really enjoying the process. The ColorMe Decal designs come in different sizes and can be applied to any flat interior wall surface, mirrors, doors, laptops, lockers - the possibilities are endless! When I'm done, all I have to do is peel and stick. Creative activities are perfect for any age and these are a great holiday gift idea. Visit www.mywonderfulwalls.com to see all the ColorMe Decals, as well as many other fabulous products to decorate your home. Follow them on Facebook, Twitter, Pinterest, YouTube, and Instagram, then enter below to win your choice of two ColorMe Decals from My Wonderful Walls! To enter, just fill in the giveaway form below. Giveaway is open to US residents, ages 18 and older. One winner will get to choose two ColorMe Decals. Giveaway ends on 11/29/2015. Good luck! and The Kids Did It! 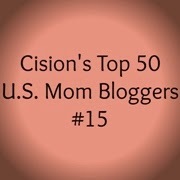 From November 16-30, you can visit all the blogs listed below and enter to win fabulous prizes on each blog. You'll find all kinds of great stocking stuffer ideas, each one worth at least $10. from Bunnies By The Bay! When I was a child, I had a security blanket that I loved so much I named it "Blankney." Throughout my 25 years as an early childhood educator, many of the children had specific blankets or stuffed animals that were special to them. These Buddy Blankets from Bunnies By The Bay are the most beautiful I've ever seen! I received the Peanut Buddy Blanket in Blue and the Blossom's Buddy Blanket in Pink. They have such sweet faces! I can't decide whether I like the elephant or the bunny more. There's also a cute lamb Buddy Blanket. Each 16" Blanket Buddy is just big enough for little hands, but small enough that it won't drag across the floor. Each Buddy Blanket has an adorable animal face and floppy arms made of soft plush materials. The blanket part is super soft and fluffy on one side and silky soft on the other. The multiple fabrics offer a sensory experience babies and toddlers will love. Buddy Blankets can be tossed in the washer if they get dirty. These beautiful boutique gifts are great for both boys and girls. Just think how cute your child's stocking would look with a Buddy Blanket's darling face peeking up over the top! Order your Buddy Blanket today at www.bunniesbythebay.com for your child, and be sure to check out all their other wonderful gift ideas! Follow them on Facebook, Twitter, and Pinterest. Then enter below to win your choice of any Buddy Blanket! Win your choice of a Buddy Blanket! To enter, just fill in the giveaway form below. Giveaway is open to US residents, ages 18 and older. Giveaway ends on 11/30/2015. Good luck! I am completely smitten with the ALLDOCK. It's not your average charging station, rather it's a beautiful piece of home decor. Each one is hand-crafted from gorgeous walnut and bamboo from sustainable forests. With the ALLDOCK Medium, I can charge four devices at one time! This fabulous design allows me to tuck away all those unsightly cords with its unique lift-off, slotted device holder. I can charge my phones, tablets, cameras, and more, all at one time. There's even an optional smartwatch stand accessory that fits into the ALLDOCK. The powerful charger is located inside the ALLDOCK base and offers four ports. It's a universally compatible USB charger and can charge a phone to up to 80% of its capacity in less than one hour. Even if I attach four devices, the charging speed isn't reduced on any of my devices. I love my ALLDOCK! Its design is beautiful, minimalistic, and fits into any home decor design. I've even used it as a tablet stand so I can work while it's charging. The ALLDOCK is the perfect holiday gift for anyone with more than one device (and isn't that really all of us?)! Go HERE to order your ALLDOCK. If you've seen their previous design and loved it, you'll love all the great improvements even more! Order one for your home and one for your office. You can follow them on Facebook and Twitter too.